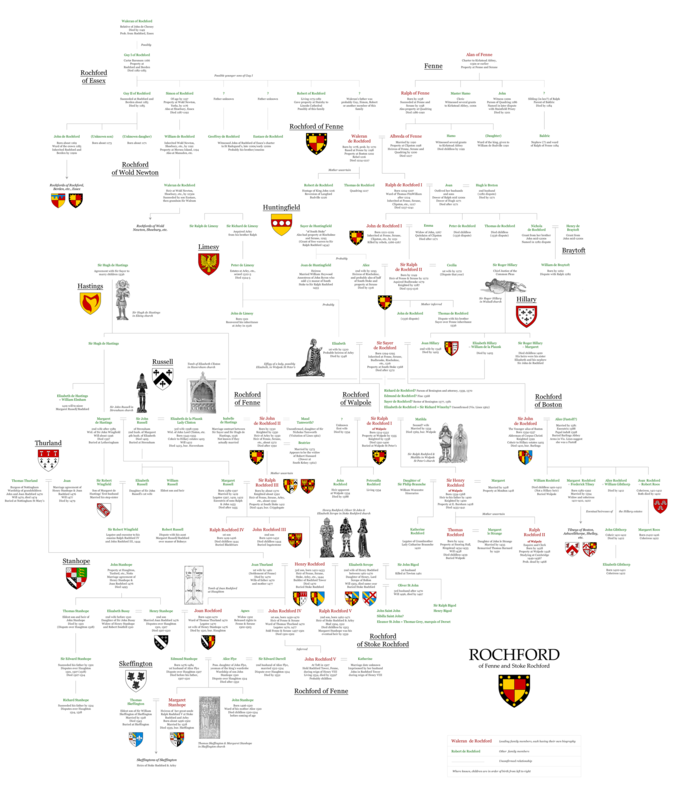 This is a giant genealogical chart of the Rochfords of Fenne and Stoke Rochford, and their close relatives. It includes all members of the family referred to in the biographies. Click to enlarge/download. An even-huger high-res file is available on request. Do get in touch.